By gradual steps the United Kingdom through its Parliament has allowed devolution of partial political power to Scotland, Wales and Northern Ireland so that each area has its own Parliament but there is no parliament for England, only the United Kingdom Parliament in which members from Scotland Wales and Northern Ireland sit as well as members from England. The problem is that England dominates the union so heavily with 83.9% of the population, Scotland with only 8.4% Wales 4.8% and Northern Ireland 2.9%. The electorate in Scotland is 4.1 million people 16 years of age and older [in England voting age is 18 and older]. It is expected that about 3 million people will vote in the Referendum. The Scottish National Party political party is a small fraction of the electorate and is barely powerful enough with its current majority control in the Scottish Parliament to gain this referendum opportunity, but not to determine its outcome. The Party’s rantings and media blitz are not indicative of or representative of the mood of Scots, the Scottish people. Some astute people claim that rather than breaking away and being independent, Scotland should be one of four political units in a federation or federal setup like the United States [reserved powers in the states]and Canada [reserved powers in the dominion rather than the provinces], but if one creates an English parliament and then a federal parliament on top of that, the latter’s constituents Scotland Wales and Northern Ireland are too weak if England has 83.9% control. What would the English give up by way of control over the federal system, and why should they, and what would they gain? More to the point on a practical level, the English economy is staggered and anything but robust. There is no cash to remedy intractable unemployment and infrastructure problems much less to nurture a new political configuration. The reality is that Scotland Wales and Northern Ireland are outposts of Britishness in a Great Britain that is essentially English. If the Scots understood that and what it means for them in their future, they would rationally take on the status of an independent country member of the British Commonwealth and take control of and responsibility for their own future. On the other hand, if the Scots are willing to be a British outpost of what is essentially an English nation and accept national control of a Scotland area by English interests, then they can vote no in the referendum. What are some realities of independence? The North Sea oil industry would remain English and not be a money supply for Scotland beyond the location of management and hiring halls in Aberdeen Scotland and the nearby area, as a stable economic activity. The European Union would welcome an independent Scotland as a member of the EU and Scotland would use the Euro rather than the Pound Sterling as its new currency. Foreign investment in Scotland would occur at a healthy level and even at a robust level if Scotland encouraged rather than discouraged it. If it encouraged it, Scotland would grow up as a small European nation rather quickly and its present Britishness would be moderated. Comparisons to Holland and Denmark would be apt. Observant Scots would look at the northern provinces of England and see ignored waifs of a London constabulary, and be relieved that such a lot had not fallen on the Scots. The future of Scotland is rather strong if Scots seize independence obtained by peaceful negotiation with friends rather than revolution and bloodshed. Will Scots be mature and confident enough on September 18 to seize that independence? Surely it’s not a contradiction, that I think Wales and Northern Ireland should remain areas within an essentially English nation. If the Brits in Northern Ireland ever voluntarily wish to be incorporated into Ireland, that should be allowed to happen. The Welsh are one of several English oddities that contribute flavor and cultural heritage to the English nation. I very much enjoyed visiting Wales. It is not southwest Scotland. Saturday May 3, 2014 there will be a Cinco de Mayo Parade with the theme We Are Lubbock commencing at 10:00 am east on Broadway Street ending at Lubbock Memorial Civic Center. Cinco de Mayo (May 5th) celebrates La Battala de Puebla del Cinco de Mayo 1862, an armed battle amazingly won by the lightly armed and under-manned Mexican forces led by Ignacio Zaragoza against a French Army unit marching through Puebla on its way to Mexico City. Despite the loss at Puebla the French Army regrouped and completed its successful march to Mexico City in 1863 and displaced the Mexican government that had refused to pay its debts to France. Debts to Spain and England were also not paid. Benito Juarez was president of Mexico for six terms 1858-1872 presiding except when exiled while Maximilian I ruled as French Emperor of Mexico. Maximilian was crowned Emperor at Mexico City on April 20, 1864 while Juarez was exiled in Ciudad Juarez, Chihuahua across the river from El Paso del Norte United States. Juarez would spend the remainder of his exile in Chihuahua City the capital of that northern state in Mexico. Maximilian was Maximilian Ferdinand von Habsburg, the younger brother of the Emperor of Austria Franz Joseph I, and gladly accepted Napoleon III’s challenge to lead Mexico, arriving in Mexico in early 1864. In 1866 the American Civil War was over and President Andrew Johnson aided Mexico by establishing an American blockade of Veracruz and other ports to isolate the French supplied empire. France withdrew its army. Maximilian was captured and executed in 1867 and President Juarez returned to his office in Mexico City. 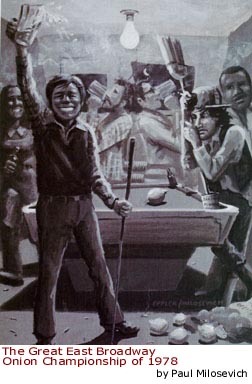 The long rocky rule by Juarez was known as La Reforma and represented a triumph of Mexico’s liberal, federalist, anti-clerical, pro-capitalist forces over the conservative, centralist, corporatist and theocratic forces that sought a new version of the old colonial system oppressing and exploiting the masses of Mexican people in favor of an elite [now home-grown rather than Spanish]. La Reforma was not to last. Under Porfirio Diaz, a long rule 1876-1911 ended with the Mexican Revolution of 1910-1920, and Diaz brought a return to centralized autocracy and economic exploitation. Diaz fled to France in 1911 and died there four years later. It would take years of post-revolution multi-sided civil war for the Mexican government to stabilize under a Constitution of 1917 and start anew in 1920, a full century after its independence from Spain in 1821. 1910-1920 commanders, leaders, heroes and villains included Pascual Orozco, Francisco Madero, Victoriano Huerta, Bernardo Reyes, Felix Diaz, Emiliano Zapata, Venustiano Carranza, Francisco “Pancho” Villa, and Alvaro Obregon. The tumult in The Great War and Russian Revolution in Europe during this period was mirrored in Mexico. The way forward has not been smooth, has not been without corruption, and has not been universally or even generally beneficial for the mass of Mexican people despite oil discoveries and exploitation in the Gulf of Mexico and thriving petrol-chemical industries. The PRI Institutional Revolutionary Party [Partido Revolucionario Institucional] political party was formed in 1929 and held political power as if it were a state party through a succession of presidents until Vicente Fox and the PAN National Action Party came to power in 2000 and again under Felipe Calderon in 2006. However, those administrations were uneven and PRI took back the presidency in 2012 under Pena Nieto. Back in 1989 the left wing of the PRI split off and formed PRD Party of the Democratic Revolution and it has increased its power, so there are three active nationwide political parties in Mexico. In some ways Mexico is a failed state in that while wealthy and resource-laden it does not and seemingly cannot provide its citizens with uniformly assured levels of government services and infrastructure capabilities, so its citizens are unable to seize opportunities to better their lives. It is excellent in preserving and promoting its national sovereignty, no more so than in the late 1930s when President Lazaro Cardenas became hugely popular for expropriating the oil interests of American and European petroleum companies. In 1990 the Peruvian writer Mario Vargas Llosa [Nobel Prize for Literature 2010] famously called the Mexican government under the PRI “la dictadura perfecta”, the perfect dictatorship. Newsom Grape Day will be held at Newsom’s Barn on FM Road 2196 one mile east of Plains Texas http://www.newsomvineyards.com/ where there are now 92 acres of vineyard grapes grown for wine. It’s an educational event for growers and wine makers and the just downright curious, this year focusing on the Tempranillo grape http://www.wineaccess.com/wine/grape/tempranillo Telephone 806-456-7885 to the vineyards for more information. The event is Friday May 9, 2014 beginning with registration at 8:00 am. Newsom Vineyards is a major player in Texas wine grape growing. Plains is west of Brownfield Texas about 75 miles from Lubbock and only 15 miles east of the New Mexico border. A quick drive to a quality vineyard is toward Lost Draw Vineyards run by Andy Timmons at 1701 County Road 525 near Brownfield Texas. He’s grown Viognier, Tempranillo, Sangiovese, Muscat Canelli, Pinot Grigio, Vermentino and Malbec grapes. From Brownfield head east on US Highway 380 past the Terry County Airport and turn right or south for a mile. Texas Custom Wine Works is a new wine-making facility [begins by crushing grapes and proceeds from there, because there is a market for crushed grapes mash that is usable by wineries for making blended wines] for growers who want to make mash or wine rather than sell their grapes to a single or stand alone winery. http://texascustomwineworks.com Located at 1823 County Road 460 south of Brownfield west of Lamesa Highway 137 and east of US Highway 62. Since we talked about the history of Mexico perhaps we should explore the history of Texas, in snippets of course because we are so interested in so many details that we can only participate by portions. If we start with Northern New Spain whose east boundary was the Gulf of Mexico and the Sabine River with Louisiana Territory on the east, and we notice a colonial Spanish empire that is weak because Spain is weak because Napoleon was stronger, and Napoleon abruptly forfeited his French claims to North America by selling off the Louisiana Purchase 1803 properties [$15 million or 3 cents per acre including parts of 15 states doubling the size of the United States] that extended north and west from New Orleans Louisiana into the heartland of the American west from the Mississippi River up to the Rocky Mountains crest, and the Spanish ceded some land in what is now Louisiana east of the lower Sabine River in 1819 and sold Florida to the United States in exchange in part for an official United States renunciation of any claims to Tejas, that land west of the Sabine River. President Madison formally made it illegal to enter Tejas without approval of northern New Spain officials. There had been filibusters http://www.tamu.edu/faculty/ccbn/dewitt/filibusters.htm or unauthorized and unapproved people who came into Tejas and claimed land by putting a plough to it, raising a shack and defending the tract with a rifle and knife. They were basically rogues because they had no status or authority from the United States or from New Spain or, later, Mexico. They were dealt with harshly by northern New Spain officials especially including General Arredondo. The last of the filibusters or rogues was Dr. James Long. When he heard, in Natchez Mississippi, of the Treaty with Spain that renounced United States claims to Tejas he formed a band of eighty men and marched west to Nacogdoches in June 1819. Arriving there he declared Tejas a free and independent republic, his band elected him its president, and he began to grant lands. He sent men to posts on the Trinity and Brazos Rivers while he went to Galveston Island to confer and try to join forces with Jean Lafitte. Lafitte refused unless Long could raise a large army. Long returned to Nacogdoches and found Spanish forces had retaken the place, killed his brother, captured some settlers, and others had fled back to Louisiana Territory. He joined them but went on to organize his last expedition in 1820 the so-called “Patriot Army” and sailed the Tejas coast to Point Bolivar, went inland to La Bahia and took control there momentarily before Spanish forces forced his surrender and deportation south to Mexico City where he was shot to death. See a book that explains the conditions in the United States during this period. John R. Van Atta, Securing the West: Politics, Public Lands, and the Fate of the Old Republic, 1785-1850 (Johns Hopkins University Press 2014) 311 pages. Recall that this period was fraught with unrest, uncertainty and shifting alliances. Grito de Dolores [the shout of Dolores near Guanajuato Mexico] commenced the Mexican War of Independence from Spain on September 16, 1810 and ultimately ended the three century Spanish colonial empire and began the Republic of Mexico on September 28, 1821. Governor Martinez added these words: “I shall also expect from the prudence which your actions demonstrate, and for your own peace and prosperity, that all the families you introduce shall be honest and industrious, in order that idleness and vice may not pervert the good and meritorious who are worthy of Spanish esteem and the protection of this government, which will be extended to them in proportion to the moral virtue displayed by them”. This language, when read and pondered on closely, clearly established the mutuality of assent and contract entered in by both sides. Austin must clearly have known what he must gain from his colonists by pledge and commitment even if many would not be able to read and understand these words. Austin did have a private oral agreement with Governor Martinez and the Spanish commissioners that the requirement of the Roman Catholic religion would not be enforced. The people need only state that they are Catholic and appear to be Catholic. Further, Austin agreed that the American colonists would be substantial law-abiding people. By 1823 he had traveled in Louisiana and elsewhere advertising the grant and encouraging emigration by a group of settlers that ultimately became known as the “Old 300”. Most came through Natchitoches Louisiana on the Texas Road to Nacogdoches Tejas its sister town with a slightly different spelling. He himself set up in San Felipe de Austin on the east bank of the Brazos River. He completed his contract and was able thereby to secure four more contracts authorizing the settlement of 1,700 additional families. Stephen F. Austin is known as the “Father of Texas.” Taking on his own father’s idea for a colony venture in Spanish Texas, Austin devoted himself to the project stating [I devote] “my life to the great object of redeeming it [Tejas properties under the land grant] from the wilderness….by peaceful, silent, noiseless perseverance and industry, and that the ax, the plow and the hoe would do more than the rifle or the sword”. He did however deal forcefully with the Karankawa Indians. San Felipe de Austin quickly became the second largest town in Tejas, second to San Antonio de Bexar. It was the colonial Anglo capital and ultimately became the place from which Texians [Anglo settlers] and Tejanos [Hispanic settlers] would lodge complaints against the Mexican government 1832-1835 [conventions of 1832 and 1833 and consultation of 1835] and then became the provisional seat of a potential independent government during the Texas Revolution 1835-1836. Austin established a horse-rider carried mail and message service to and between his colonists and established a newspaper/gazette in San Felipe that was widely distributed. Between the gazette, the mail, and neighbors visiting each other, the colonists were in routine and regular communication with each other and knew what was happening in this frontier land. They came to each others aid and behaved like a widespread community of settlers. This provided a model for other colonies and for settlements by unauthorized settlers. Alamo Drafthouse Cinema is now open at 120 West Loop 289 at North Slide Road http://www.drafthouse.com/Lubbock After 6:00 pm prices are $9 regular movie $12 3D movie with seniors and children $7 and $10. Before 6:00 pm all prices are $7 and $10. Wraps, snacks, munchy foods and craft beers are on offer from a menu so arrive early for an un-rushed selection. This collection was first made available to the public in 1922 by Alfred Barnes in his unique manner in a suburb of Philadelphia, and is now housed in the city in a fantastic new building after a bitter controversy and litigation that is postlude to a previous period of time and a prelude to the contemporary period at the Barnes. Ignore the controversy, live in the moment, and enjoy the new Barnes. If a five day immersion experience is a possibility, it couldn’t occur at a more unique and thrilling location. It likely would be a life altering experience for the aesthetic part of your soul. As a paradigm or model for other art museums, many of them would do well to offer immersion programs of one type or another, with small unadvertised groups, testing how to put on and make those experiences meaningful and enjoyable, and when they’ve got it mastered, go public and create a revenue stream.